Red Bay Coffee's bold profit-sharing employment model takes aim at gentrification. Red Bay Coffee owner Keba Konte will give 100 percent of his new cafe's profits to the workers. In recent years, the idea that the fancy coffee shop is a bellwether of gentrification in "up-and-coming" urban areas has gone from being an interesting hypothesis to something akin to an accepted narrative: First come the tattooed baristas and hipsters, followed by the techies and the real estate developers. Before you know it, there goes the neighborhood — or something like that, anyway. In some respects, the forthcoming Red Bay Coffee Bar, slated to open this fall in Uptown Oakland's Hive development (2335 Broadway), will resemble every other trendy cafe. Meticulously crafted espresso drinks? Check. Liberal use of reclaimed materials? Double check, with bonus points for being housed in a modified shipping container. But owner Keba Konte, who founded Red Bay as a wholesale coffee roaster early last year, plans to flip the coffee-shop-as-gentrifier script on its head. For starters, Konte said, the cafe's staff will consist of folks who have traditionally had difficulty breaking into the specialty coffee industry — people of color, the formerly incarcerated, women, and people with disabilities. What's more radical, however, is the profit-sharing model that Konte will use to pay those workers: In addition to receiving tips and an hourly wage, each Red Bay Coffee Bar employee will get a cut of the business's profits. In fact, 100 percent of retail sale profits will go back to the workers. Red Bay Coffee's business model comes at a crucial time in Oakland's history when working-class people — and people of color, in particular — are getting priced out of their neighborhoods. Konte hopes his employees will make enough of a livable wage to allow them to stay. Konte is no newcomer to the coffee game, or to a wide range of cooperative business models. Before he launched Red Bay Coffee, he was one of the co-founders of North Berkeley's Guerilla Cafe, which started hosting pop-up restaurants years before they became a ubiquitous part of the Bay Area food scene. 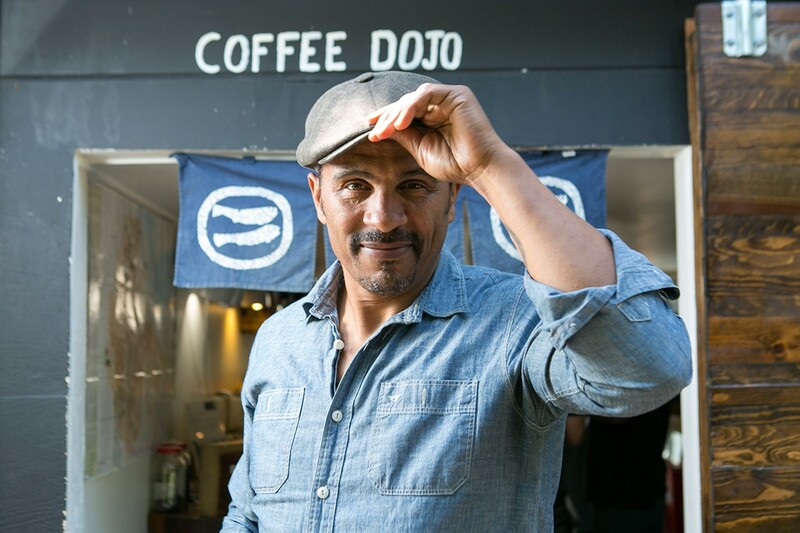 Konte also owns Chasing Lions Cafe, a coffee shop located inside the City College of San Francisco, where he allows employees to take control of the cafe during school breaks. The workers foot the bill for ingredient expenses during these stints, but they don't have to pay for the rest of the cafe's overhead, and get to keep whatever money they make. Still, a skeptic might wonder how a 100 percent profit-sharing model is feasible. After all, what kind of business owner opens a shop without hoping to make at least a little bit of money? In part, Konte said, the cafe's feasibility is contingent on his being able to use crowdfunding — i.e., an $80,000 Kickstarter campaign, which ends on June 11 — to cover most of the capital he needs to get the cafe off the ground. "If you're taking all these loans and investors, a lot of people have to get paid back before you can start sharing profits with your employees," he explained. More importantly, Konte said that Red Bay Coffee is uniquely positioned to use a profit-sharing approach because its wholesale coffee business is still the company's primary source of revenue. The cafe will help boost those sales by making the coffee-buying public more aware of the Red Bay brand and, hopefully, by generating a lot of goodwill. Konte's underlying belief is that, at the end of the day, customers — and restaurants and other potential wholesale clients — will want to support a socially conscious business that takes care of its workers. And Konte saw first-hand from his experiences at Chasing Lions how workers who have a personal stake in the business' profits can become better, more dedicated workers. "Now all of a sudden, we've got a lot of collective minds thinking about how we can improve our business," he said. What Konte said he wants to focus on is how the model can be a win-win — benefiting both employer and employees — rather than on any kind of altruism. After all, he doesn't want other business owners to look at what he's doing and say, "Well, I'm not a philanthropist." 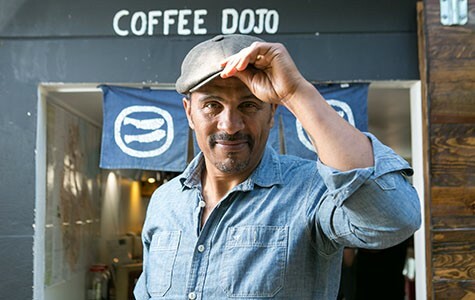 That's important because Konte hopes his coffee bar won't just be an anomaly, but rather the start of a movement, as other wholesale businesses — bakeries, breweries, and tea manufacturers — might adopt and tweak his profit-sharing model as they look to open their own retail shops. If Konte's own coffee shop is successful, he plans to scale up by expanding to multiple locations. Meanwhile, the cafe's workers will sharpen their skills at Konte's self-styled "Coffee Dojo" in Fruitvale, where he plans to train them not only in how to pull an espresso or do latte art, but on all aspects of the "farm-to-cup" coffee business — on recent technological innovations, the sourcing and importing of green beans, and roasting techniques. The idea is that workers would be equipped with the knowledge they need to open their own coffee businesses in the future. 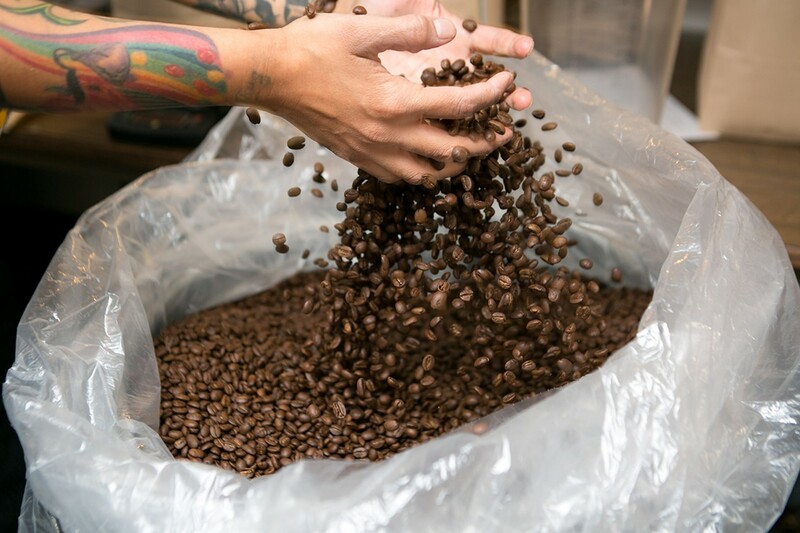 And by hiring and training folks who have "high barriers of entry" — including formerly incarcerated individuals — Konte said he hopes the entire specialty coffee industry can start to feel a little bit more inclusive. All of this is part of Konte's ongoing efforts to demonstrate that the coffee business isn't, and has never been, the exclusive domain of "fastidious white hipsters," as he put it in a recent interview with Berkeleyside Nosh. According to Konte, there's a deep irony in the fact that certain (mostly white) segments of the industry act as though they're the first ones who ever knew exactly which farm their coffee beans came from, or roasted the beans in a certain way to maximize their flavor. The truth is that kind of approach has existed for a long time in Africa, where coffee was invented — but few folks in the so-called "third wave" coffee industry ever acknowledge it. (The most hilarious example of this kind of cultural appropriation: the recent fad interest in "Bulletproof coffee," for which brewed coffee is blended with butter — a process Konte said is just a variation on something Ethiopians have been doing for centuries.) Part of Red Bay Coffee's mission is to reclaim that cultural heritage. Konte said there's so much attention paid in the industry on how to make the coffee just a little bit better — by inventing new kinds of filters or by adjusting brewing temperatures by a fraction of a degree. Konte plans to do his due diligence by making sure his Coffee Dojo keeps up with those trends. But his main interest doesn't involve taking a cup of coffee from a "98" rating to a "99." "It's about making a great cup of coffee, but having an even greater impact on our economy," he said. "It's about using coffee to uplift our people." Civil rights activists are pushing East Bay companies to hire formerly incarcerated people and applicants with criminal records — and merchants say it's a winning strategy. Alameda County is moving forward with a plan to create a local green power agency that not only will supplant PG&E, but also will create thousands of jobs and help fight climate change at the same time. Athen B, a new gallery in downtown, aims to build relationships between the city's emerging artists and the incoming wave of young collectors.